After workers drilled that final hole on December 1, 1990, they exchanged French and British flags and toasted each other with champagne. Final construction took four more years, and the Channel Tunnel finally opened for passenger service on May 6, 1994, with Britain’s Queen Elizabeth II and France’s President Francois Mitterrand on hand in Calais for the inaugural run. 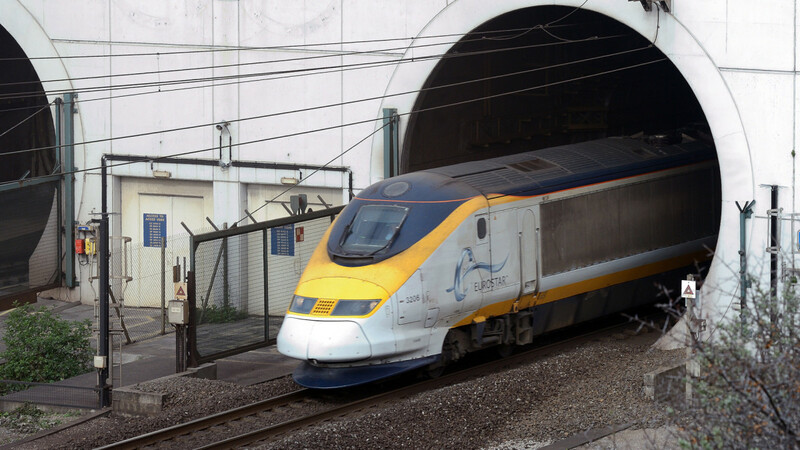 A company called Eurotunnel won the 55-year concession to operate the Chunnel, which is the crucial stretch of the Eurostar high-speed rail link between London and Paris. The regular shuttle train through the tunnel runs 31 miles in total–23 of those underwater–and takes 20 minutes, with an additional 15-minute loop to turn the train around. The Chunnel is the second-longest rail tunnel in the world, after the Seikan Tunnel in Japan.